1. An online business seeker that has a genuine interest level between 75-100% as per Organic Prospect's proprietary grading process. Organic Prospects are widely known throughout the Internet Marketing Industry as having very high conversion rates. What we do is simple yet extremely powerful. We've developed a proprietary process of acquiring, grading, filtering and distributing home business prospects to our customers. We even throw in a mailer for you to contact them. We target the top 15 social media sites when running our prospect acquisition campaigns. We seek prospects with the highest genuine interest level to begin with. Our proprietary gradings system grades each prospect with a Genuine Interest level between 0-100% The higher the genuine interest level, the higher the prospect quality. prospects graded between 75-100% to our customers. Each member will be assigned 70 Organic Prospects on a daily basis that can be viewed, downloaded and contacted with our complimentary Mailing system. There is no limit to how many prospects you can collect in your account or how many you can contact with the Organic Mailer. Whether you download your prospects and mail them yourself, or exclusively use our Organic mailer, we allow you the ease and freedom to contact your prospects however you decide. View your mailing history statistics. Our primary focus is helping beginners succeed online by supplying them with the highest quality Home Business Prospects, packaged into a newbie friendly turn-key system. Our customers gain access to a simple members area where they can receive, view, download, and contact their prospects within minutes. We love hearing positive feedback from our new members about how they are making sales for the very first time. Once you "Go Organic" you'll never go back! We filter out prospects graded below 75% in Genuine Interest, providing you with 70 Organic Prospects per day. Membership includes a mailing system to contact your Organic Prospects. No 3rd party autoresponder needed. Every Organic Prospect you receive is acquired, graded, filtered & distributed within 48 hours. Whats yours is yours. Every Organic Prospect you receive is 100% exclusive to you. I'm definitely no newbie. 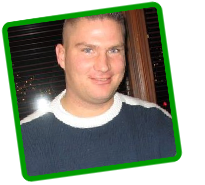 I have a monthly ad budget of $2500 and have been in the online marketing world since 1999. My spidey sense usually starts going off when I see a new ad site pop up. I can usually cut through the crap right away and see things for what they really are. I had a good feeling about Organic Prospects but for me, my only concern is will they buy from me. I can honestly assure you these prospects do have an amazing level of Genuine Interest based upon my results. I've grown my downline in 5 different programs to over 500 combined members exclusively from these Prospects. Do they convert? Heck ya.